The Eastbourne International Airshow, known as Airbourne, is the world's biggest free seafront airshow. 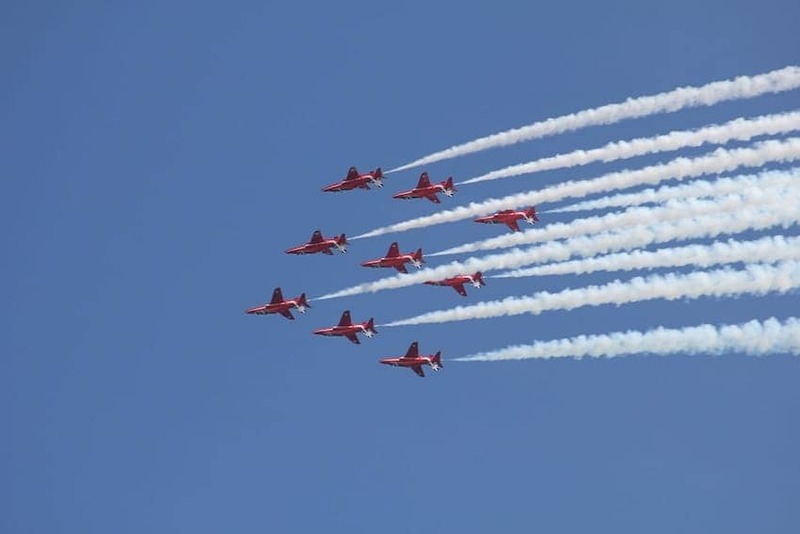 It is held on Eastbourne seafront every August with four days of displays from aerobatic teams, parachutists, historic aircraft, helicopters and international military jets. The show is supported by the Royal Air Force, Army & Royal Navy with exhibitions and replica aircraft. Spectators can watch from prime position at Western Lawns on the seafront or at Beachy Head with views of the displays over Eastbourne.